What do continuing ed. physios do? 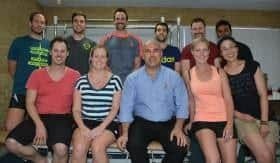 Physiotherapists are required by the Physiotherapy Board of Australia to continually upgrade their professional knowledge and skills to ensure the contribution they make to healthcare is of the highest standard. To encourage members to participate in appropriate professional development activities, the APA has maintained a system of Continuing Professional Development (CPD) since 1999, which is a requirement for all members. To provide a professional development framework for those wishing to participate in the APA Specialisation Program. If you are interested in finding out if a physiotherapist has completed a course that can help you, please contact your local Core Physiotherapy and ask reception as they will be able to book you in with a specialist in that area.